Our out of state purchase process is easier than you might think. See our below information or call us at (888) 548-7711 for more details. We have a very large pre-owned business with lots of high-end, rare, and specialty vehicles that attract buyers from all over the country. 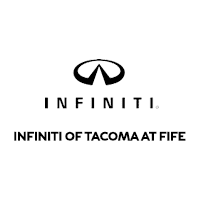 INFINITI of Tacoma at Fife regularly sells vehicles out of state on a monthly basis. Our out of state purchase process is easier than you might think, we do it all the time and we have hundreds of happy customers who have purchased their vehicles from us this way. We’re here to help and can arrange shipping to almost anywhere in the country. Will I need to pay Washington State Sales Tax? You pay the state sales tax if applicable, in the state you plan on registering your vehicle. If your state does not have sales tax on vehicle purchases, than you probably won’t pay state sales tax. Make sure to contact your DMV to confirm. How do I register the vehicle? Once you purchase from us we will provide you with all the necessary paperwork and documentation to get your new vehicle registered in your state. Since paperwork required to register a vehicle differs state by state, we highly recommend you contact your local registry of motor vehicles to see what they will require from us to get your new vehicle registered. It depends on where you live, how far you are away from us, and if it falls into a common trucking route. If a transport company generally travels frequently to the area you live than that will bring down the cost of shipping versus an area far away from their shipping route. We work with many transport companies and if you contact us we will be happy to get you a complimentary quote and if necessary help shop around for the best rate. 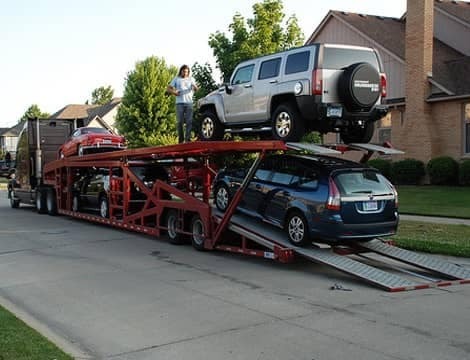 Generally a shipping company will use a 10 car transporter, if those other vehicles are being shipped on a route near you than generally that can bring down the cost, versus a transport company having to travel 500 miles out of its way to deliver one car. It all depends on that specific transport company and their shipping routes, we will be happy to help you find the one that works best for you! Can you get the vehicle inspected? We are located in an area with many popular franchised dealerships as well as independent shops. If you feel more comfortable getting an independent inspection before you commit to a purchase we can help arrange that. All our pre-owned vehicles must pass a mechanical and safety inspection before we sell it on our lot and many are even serviced by us too. Contact us for more details about the inspection and service work we might have done for a vehicle you are interested in. If you are paying cash the most common way is to have the funds wired to our bank account. You can also mail a check. If you need a car loan than we recommend applying for a loan through your local bank or credit union; we provide you with the necessary paperwork to apply for a loan and once the loan is approved the bank will send the funds to us, or give you a check made out to us for the cost of the vehicle that you can mail to us. We also work with many banks and credit unions ourselves and can sometimes help provide you with vehicle financing depending on where you live. What if I need more information about a vehicle before purchasing it? We understand a vehicle is a big purchase and you might get nervous about buying a pre-owned vehicle without seeing or driving it first. We already go the extra mile by providing great images and custom video of our entire pre-owned inventory, but we understand you might want a little more info before you feel comfortable making a purchase sight unseen. Upon request we will provide you with a full inspection report and any noticeable imperfections inside and out we can document for you and even take photos. We will be happy to provide you with an HD video walk-around of the vehicle and additional photos, you can even tell us specific areas you would like us to focus on. We can also help arrange an independent inspection if you like as well. Shipping alternatives – We are located close to Sea-Tac International Airport, some of our customers opt for flying in and we pick them up at the airport, bring them to our store and they drive their newly purchased vehicle home. Please feel free to contact us at (888) 548-7711 with any other questions.